hd00:13Caucasian boy looking at the camera. Portrait of a baby close-up looking at the camera. Teenage boy's face in the hood. 4k00:164k Close-up face of a little boy who is playing with dead meat. hd00:09Kid looking up at the sky in nature. Little girl praying looking up at purple sky with hope, close-up. 4k00:06Family portrait of happy mother and teenage daughter smiling, hugging, showing love footage. 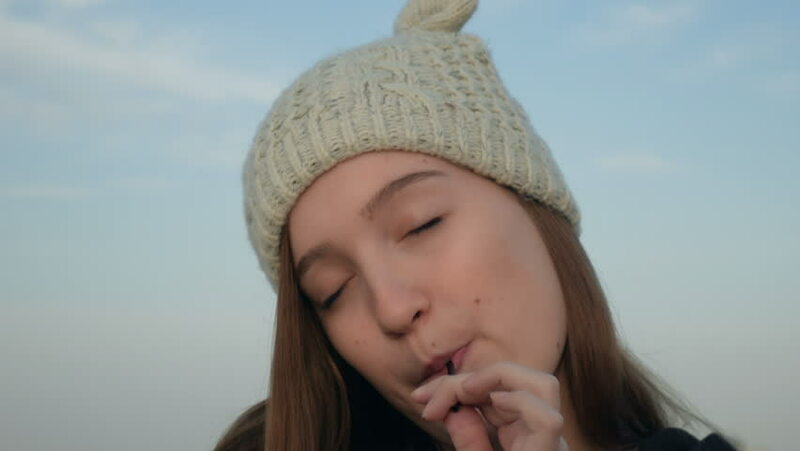 4k00:09Portrait of a teenage girl in a knitted cap, which showing and eating Israeli peanut snacks, outdoor, stock footage. 4k00:05Girl expressively, theatrically, authentically hugs herself. Self love concept. 4k00:09Mud therapy on Dead sea. People applying natural mineral mud on body. hd00:11Green human eye of young girl view from side, close up. 4k00:06Girl with long red hair in the beach, sea breeze play with hair, daytime shot in Tel Aviv.